‘Faire’, in French, means ‘to do’ or ‘to make’ and that is at the heart of what Vigyana Habba aims to achieve. 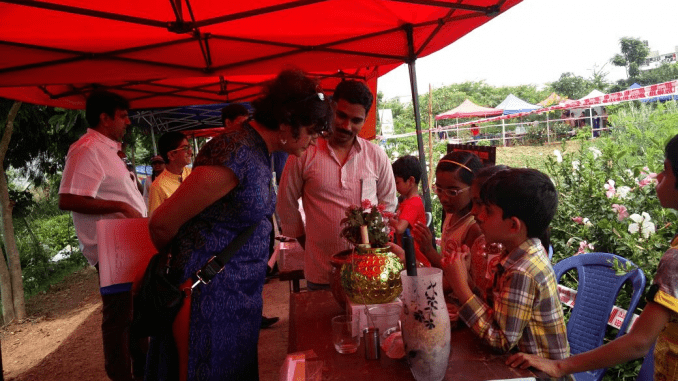 The fair was aimed to encourage a scientific spirit among children that questions, probes and finds solutions. It was not just a show and tell event – participants as well as visitors learned by “doing” stuff. 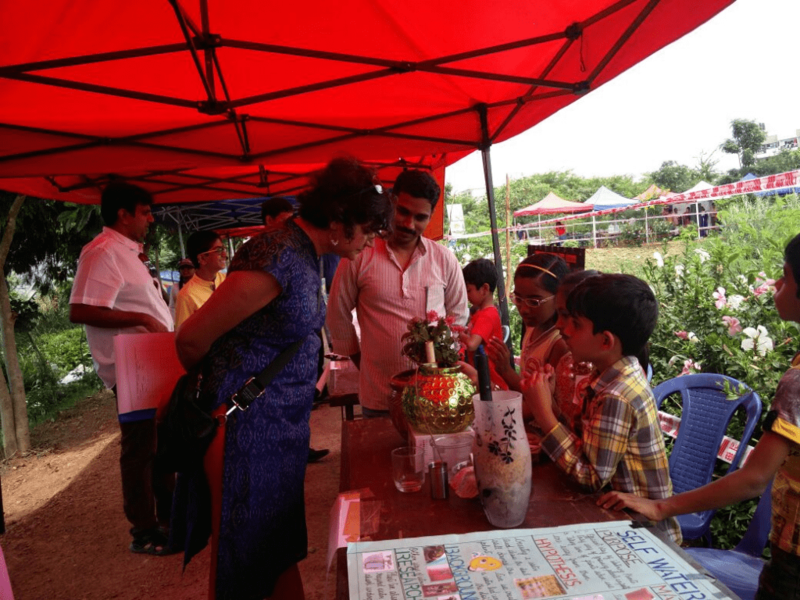 On Saturday, Aug 19th, 2017, over 44 teams participated in the second edition of the Soul Kere Science Fair – Vigyana Habba. The participating students were from grades 1 to 12 of various school and communities in the neighborhood of the lake. The event was organized by MAPSAS and supported by Genpact,(Platinum sponsor), Infosys Science Foundation (Gold sponsor), Biocon, United Way Bengaluru and BBMP lakes department. The winning teams have received prizes worth Rs 75,000 in total. Judges included eminent experts like Dr. Sujata Virdhe, Former space scientist from ISRO; Dr. Lakshmi Saripalli, Astrophysicist at Raman Research Institute, Bangalore; Shubha Ramachandran, Water Sustainability Consultant with Biome Environmental Trust and Veena Srinivasan, ATREE. The prizes are sponsored by Infosys Science Foundation and Biocon. 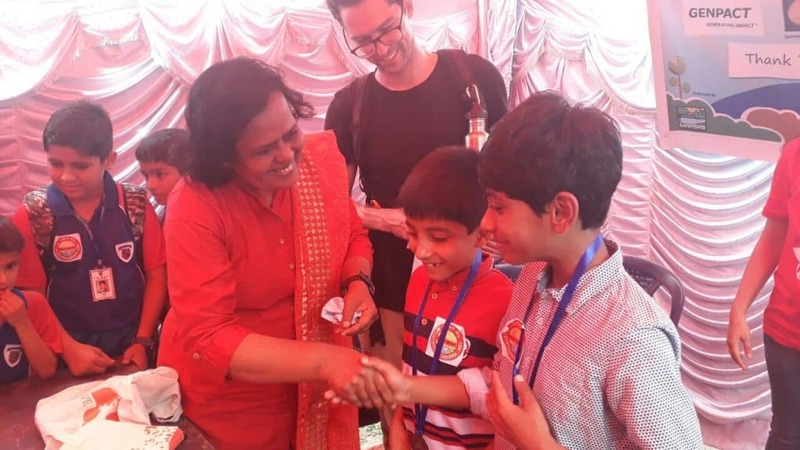 Dr. Sujata Virdhe, Handing out the medals to the Junior category runner up team. Entry to the event was free and open to all. The teams demonstrated live experiments that explored the topic ‘Science in everyday life’. Many innovative experiments, live models and demonstrations were done by the teams using scrap material and organic waste. Some of the experiments which stood out in the senior categories were the Low cost solar cell from Modern Public English School and the Smart garden from NPS, HSR. 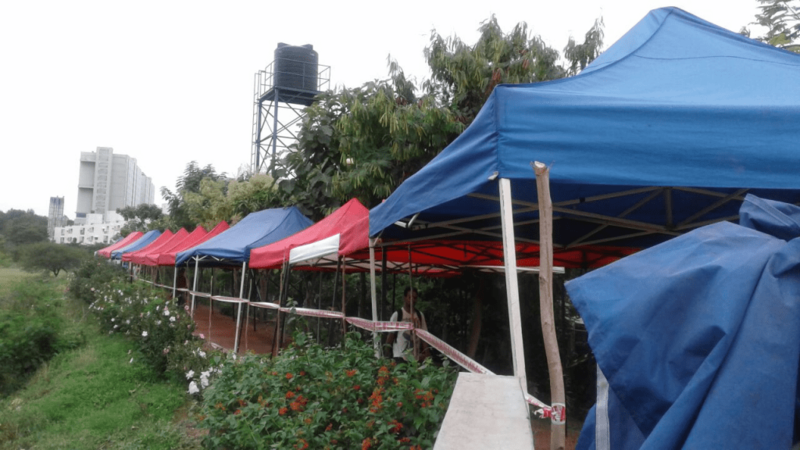 Apart from the experiments, there were food stalls, organic products and services stalls and a plastic recycling workshop by Cilre. About Soul Kere: Soul Kere (or Saul Kere) is one of the lakes in the chain that includes Kaikondrahalli Lake, Kasavanahalli Lake and Harlur Lake. An active citizen group, which set up the Mahadevpura Parisara Samrakshane Mattu Abhivrudhi Samiti (MAPSAS) Trust in 2011, has been working on Soul Kere alongside the BBMP, with support from United Way with contributions from corporate sponsor Genpact, taking care of day to day maintenance activities. 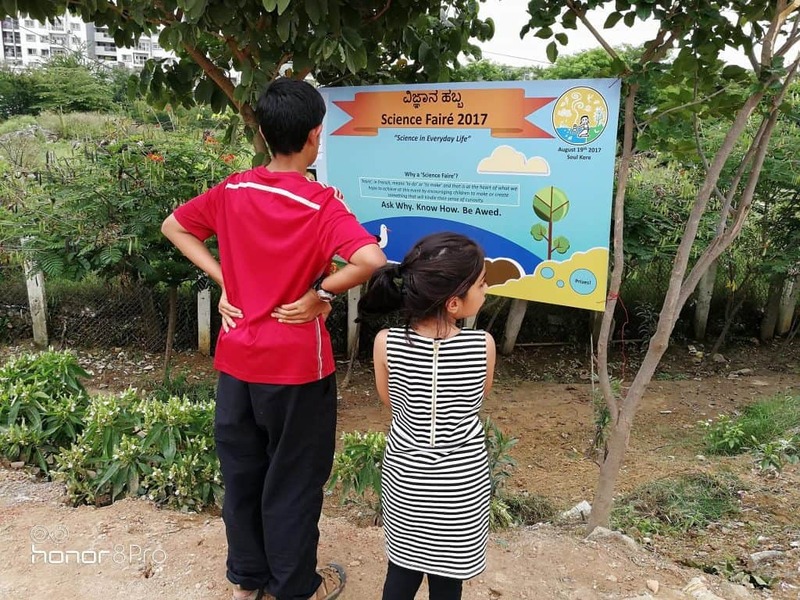 About MAPSAS: This is a trust formed by local citizens to maintain and look after some of the lakes in Bellandur Sarjapura region in South-East Bengaluru. Translated into English, the name means – Mahadevapura Environment Protection and Development Trust. While the BBMP takes care of the large infrastructure and capital costs for rejuvenating the lakes, MAPSAS is the community guardian of the lakes and oversees day to day maintenance activities post rejuvenation. The funds for maintenance are used for gardening, security, cleaning and annual deweeding. Funds are sought through voluntary donations from individuals and corporate donors.